Do you love fast food? Well, I do, but only when it’s healthy. 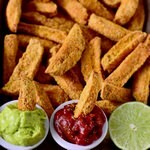 So today I decided to make these crispy vegan parmesan potato wedges which I served with two different dips. This recipe is super easy to make and you will only need a few ingredients. It’s a wonderful side dish, snack or appetizer. Making the vegan parmesan takes only some minutes and even though it doesn’t taste exactly like real parmesan, it’s still super delicious and cheezy. The cheezy flavor comes from the nutritional yeast flakes. I added ground almond flour to the mixture because almonds contain healthy fats and underline the taste of the nutritional yeast flakes. But you can also use ground cashew nuts instead of ground almonds. To make the recipe nut-free simply use ground sunflower seeds or hemp seeds. This vegan parmesan can be sprinkled over every savory food, it also tastes great on spaghetti, pizza, rice dishes, and even veggies. You can make “cauliflower buffalo wings” with the vegan parmesan or put it on your avocado toast. There are lots of options, and I never get tired of the taste. Like I wrote before I love eating fast food, but not when it’s deep fried because it gives me a stomach ache. These vegan parmesan potato wedges are much healthier than deep fried potato fries from a fast food restaurant but they are still very flavorful and delicious. 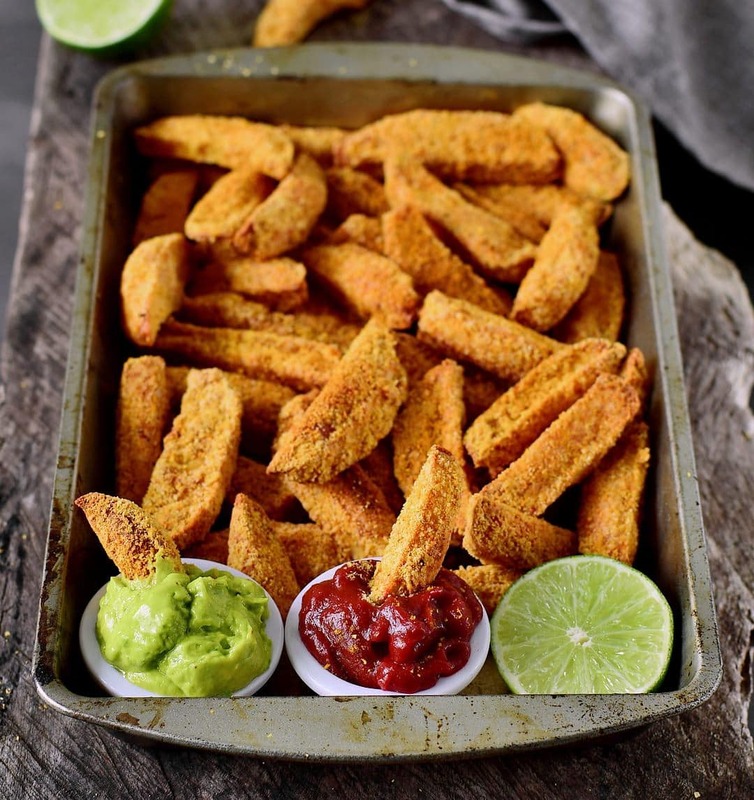 I served my vegan parmesan potato wedges with ketchup and homemade guacamole but you can use any dip of choice, for example, vegan mayonnaise. 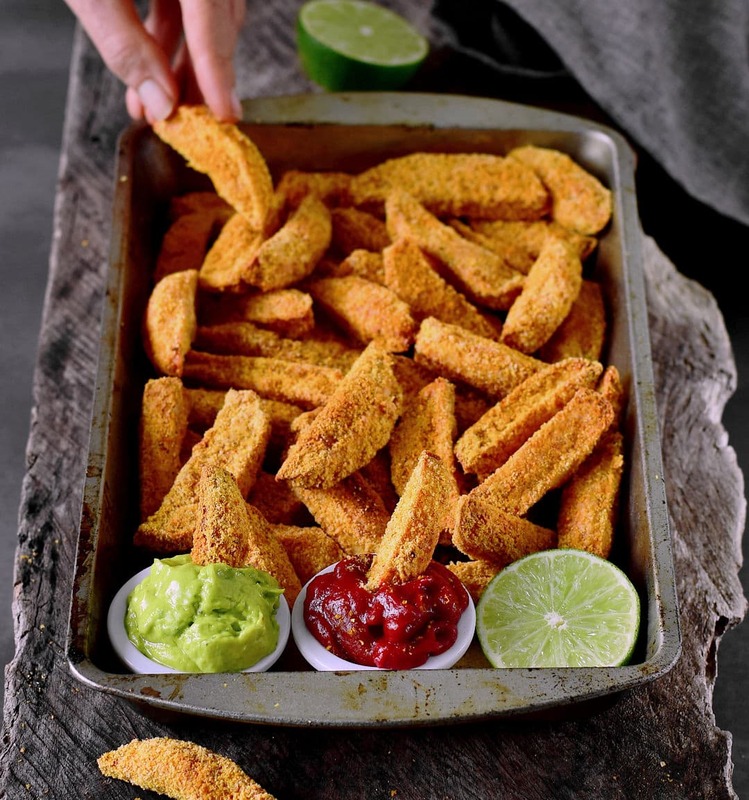 Should you recreate my vegan parmesan potato wedges, please leave a comment below and don’t forget to tag me in your Instagram or Facebook post with @elavegan and #elavegan because I love to see your recreations. For the flax egg: Put the ground flax seeds (or chia seeds) and water into a small bowl and mix with a whisk. Set aside for 5 minutes. 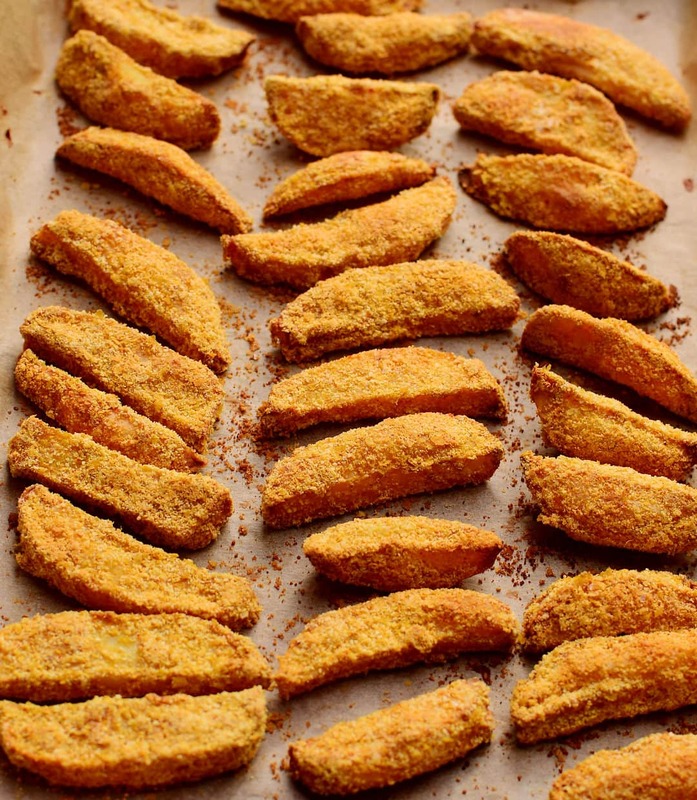 Peel potatoes and slice into wedges. Preheat oven to 390°F (200°C). Lightly grease or line a baking sheet with parchment paper. Process all vegan parmesan ingredients in your food processor and set aside. Coat the potato wedges with a little bit of flax egg (or chia egg) and then toss them in the vegan parmesan until evenly coated. 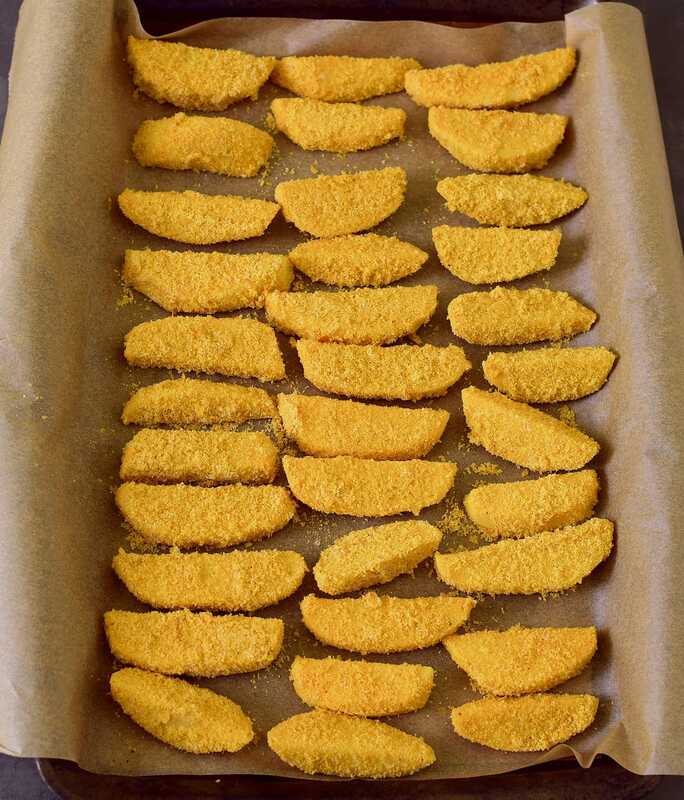 Place the potato wedges in a single layer on the baking sheet and spritz thoroughly with cooking spray. Bake until crispy for about 35-40 minutes, flipping them over after 20 minutes. Enjoy hot! These look super delicious and so crispy! I think I should try the recipe! ???????? Thank you, Bianca! Yes you should definitely give it a try ???? I want to devour these fries, Ela! So crispy and mouthwatering! 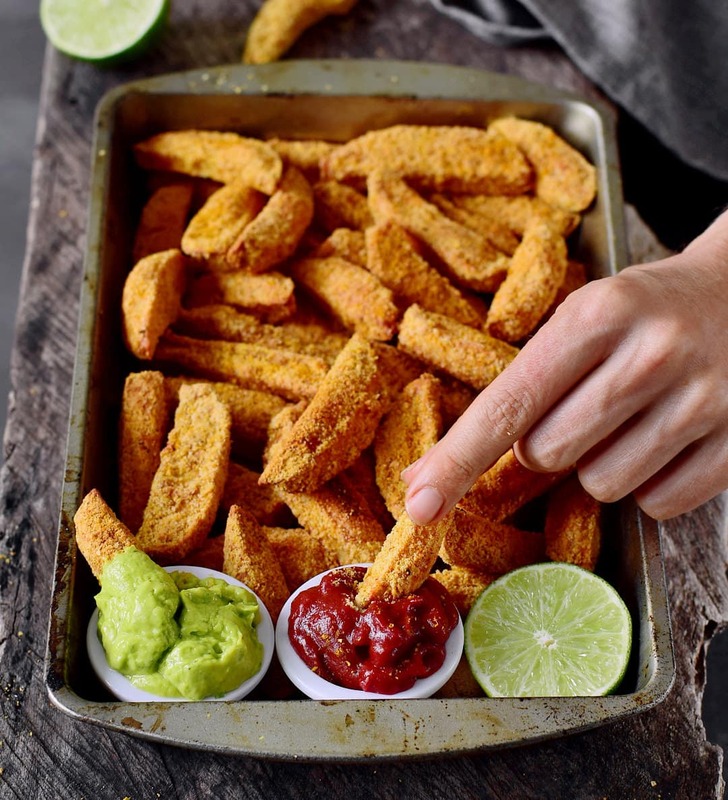 I love the use of almond flour too, it’s so fun to use it as a breading! Ela, these look so crispy and perfectly coated! I can almost taste them! Love this recipe, and I MUST try that parmesan recipe too, looks and sounds delicious!!! great and fun snacks. i will try it soon. Thank you!